His Book is about our spiritual evolution. It is about the role and process of spiritual development and about the deeper truths that lie beneath our more relative selves. 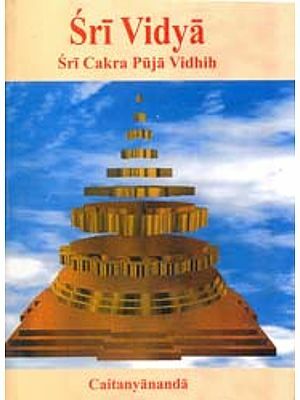 It is also a practical book, giving indepth guidance to the complex system of chakras and mantras-spiritual maps and tools for our higher development. The material presented here will work for you regardless of what your spiritual ideal is or what your personal “spiritual mosaic” looks like. It will focus on the common spiritual anatomy we all carry and will lay out core Sanskrit mantras that will aid in various aspects of our spiritual development. As we begin this journey, the most important initial idea I can express is that you are immortal. There was never a time you were not. There is never a time you will not be. Your immortal essence is referred to by many names: the soul, the self, atman, jiva, or lower purusha. These are but a few of the various names that refer to your personal inner divine flame of truth. That which you are. That while is imperishable. It is a part of you that is not actively involved in any of your worldly conditions, yet it watches and, in some hard-to-describe way, learns. But even as that flame is your true self, there is another part of us that lives in this world that I call the Ego-Mind-Personality. It is not immortal. It experiences all of the pains and joys of life, and then dissolves, in its current form and expression, at the time of death. This day-to-day part of us also comes and goes from life to life, and an essence of what we have learned and attained in any one life goes forward from one life on to the next. The Ego-Mind-Personality can choose to evolve to a new, higher state of consciousness and being. It can become immortal if it chooses to embark upon a program of spiritual discipline that systematically leads to immortality. Through discipline it can evolve and grow until it eventually merges with the atman and becomes immortal. If we look closely at what we know about various religions throughout human history, it would seen that the decision for the Ego-Mind Personality to become immortal is a choice we will all make sooner or later, but, as yet, there is no definitive proof that this is so-we as a human family certainly have not yet gotten to that point en masse. But still, the major religions are trying to convey something important to us. And throughout history, the great spiritual figures have deemed the pursuit of this of the highest importance. The religions and spiritual teachers speak with one voice about our divine destiny, about immortality, about living a spiritual life, and about spiritual rewards. The details know, if we will but undertake the journey to achieve it. To describe our common journey, it is helpful to use the map of powers, abilities, and potentials embodied in stories about some of the celestials that are told in various Hindu scriptures but principally in the Puranas. The marvelous abilities of the characters in these stories-both good and evil ones alike-can be likened to a periodic table of divine abilities and characteristics we will encounter as we progress. These stories can help define both the journey and what we may find along the way. I will begin here by sketching out the general themes found in the rest of this work and some basic concepts that serve as foundational ideas for the chapters that follow. According to both the Vedas and the Puranas, in the beginning at the supra-cosmic level, there was only a transcendent unity. There was one Being of which we sere a part. Then, in a truly enigmatic decision, that being decided to diversify itself. The idea of many individual parts was conceived, and individual souls sprang from that transcendental Being From that Being we have come. Ultimately, it is to that Being in its reality to which we will return. The first step after the decision of that Being to become many was the establishment of each of us as individual beings. Even then we were still in unity with that Cosmic Truth. We had only the thinnest of veils separating us from complete absorption into that Being. We had commenced a journey for reasons known only to our soul and that Great Being. When we have finished the first phase of that journey started long, long ago, we will reach the place of Great Decision discussed near the end of this book. No matter what our decision at that point, we will have evolved back into conscious contact with the state of Being from which we have come. We will have traveled up through the chakras, adding to our experience and knowledge. Almost everyone who has even a nodding a acquaintance with eastern spirituality has heard the word chakras. As energy processing centers in the subtle body located along the spine, they are traditionally taught as six in number with a seventh at the top of the head. In addition to these seven chakras, there are other esoteric chakras that are sometimes taught to advanced students. There are mantras and seed sounds that activate those esoteric chakras, and some of them contain keys to our spiritual progress. The seed sound Hrim, for instance, is taught in both Hinduism and Tibetan Buddhism as the seed sound for the Hrit Padma, the “sacred heart” which is described in the Narayana Suktam as an eight-petaled lotus “two finger widths” below the Anahata (heart) Chakra. This chakra is described as that place in which the self, the soul, resides. In Tibetan Buddhism, one mantra initiation into advanced spiritual practice involves the Kala Chakra, in Hinduism, is sometimes located just above the Vishuddha or throat chakra. But in another system, it is located in a different place in the head, above the Ajna Chakra, also called the third eye. In fact, there are a handful of different chakra systems that are defined and placed in different parts of our spiritual anatomy. 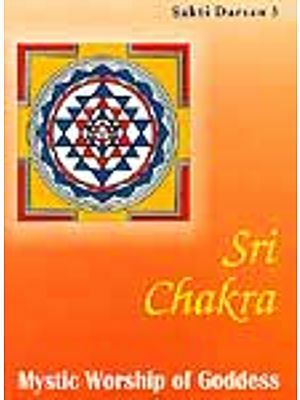 Here I will use the most common system of chakra definitions and placement, while incorporating aspects of other systems I have been taught and which I have tested since 1973. My teacher, Sadguru Sant Keshavadas, taught that every organ and gland has a chakra of its own to help it process the energy that helps it function properly. The great Swami Sivananda noted that some yogic texts speak of 144 chakras in the body. 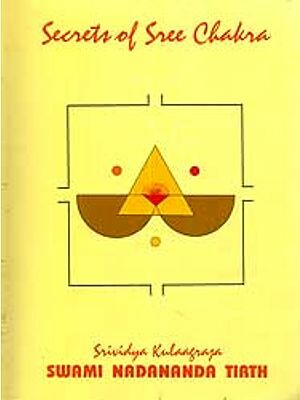 And, the comprehensive chakra manual Laya Yoga, by Shyam Sundar Goswami, minutely describes many overlapping chakras systems and some esoteric schools that locate over 200 different chakras in the body. Sundar goes into such detail as to make the information nearly impossible to take in, especially for the average yoga student and even then for some advanced practitioners. That gives you some indication of the intricacy of this system of spiritual anatomy. Other chakras in both Tibetan and Hindu systems are even less available to students in the West. The Soma Chakra in the forehead, the Manas Chakra in the back of the head, and other chakras scattered in various places in the body have energy processing abilities that are activated by mantras. Some of these mantras are given to everyone while others are usually given only to select students. All of which is to say that in examining the path that presents itself to the willing seeker, we must examine both traditional and a few more secret chakras. In our spiritual journey, we will likely encounter conditions or obstacles that challenge us. We will be “burning up karma” and can experience process. There are various spiritual practices to help us with these challenges. Hinduism has discovered the science of mantra to help invoke various spiritual energies that help dissolve difficulties. Mantras can also act as buffers to minimize painful karmic burn-off. These mantras resonate within the chakras, the major energy processing centers located along the spine in the subtle body. Throughout this book, I’ll take you through not only the ways mantras can help you on your spiritual journey, I’ll also provide you with the Sanskrit chants and the recommended number of recitations to provide support on the spiritual path. 1. To present for your consideration a simple explanation of the system of chakras that exist in all of us. The system I present will be drawn from several of the dozens of systems that exist in the ancient texts from India. All of the research has been done by others, most of whom are great spiritual scholars as well as advanced practitioners. There is only one item in the discussion of the chakras that is original with me. It is my discussion of the function of the dramatic mythic character called Ganesha, and his chakra. Very great minds and spiritual practitioners have provided all the rest of the information. 2. To outline a general path of spiritual development that encompasses efforts conducted during more than one lifetime. The purpose of this spiritual development is to discover and therefore become consciously more of what you are and always have been. 3. To present energy-invoking tools called mantras that, when used, enable you to accumulate more and more energy leading to various “changes of state” in your organism, or that which you inhabit-your bodies, both physical and subtle. 4. To provide a description of, in as simple language as I am able, the journey to and place of “great decision,” where we reach a fundamental evolutionary point of choice. From that decision, two great and divergent paths are presented to all of us. 5. To list some of the superhuman abilities that, come, eventually, to us all. The great healers among us have unlocked some of these abilities and many of them have dedicated themselves to helping us. As part of the process, I will introduce you to several healers and their spiritual opening. 6. 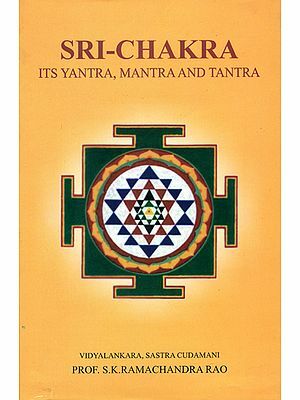 To offer several of the great healing mantras from India. 7. To convey stories from the great tales and epics of India that, teach us something important or useful about our journey. And they are fun. Spirituality does not have to be long-faced and serious all the time Personally, I think the great ones told funny stories to their disciples. In Chakra Mantras, Thomas Ashley-Farrand, a preeminent authority on yogic mantras, reminds us that consciousness is anchored to the physical plane. He writes that we all must “re-evolve” and elevate back up to cosmic consciousness, and he shows us how to do just that. With the help of healing sounds and chakra mantras. We can make the journey back to mind and spirit. Chakras are powerful energy transformers and mantras are energy processing centers in the subtle body along the spine. By working with sound mantras you can activate your secret chakras. Which contain the keys to our spiritual progress. Ashley-Farrand’s knowledge rests upon a solid foundation of the practice of Sanskrit mantras – spiritual formulas of immense and specific influence that are matrices of sound energy and can bring the power represented by gods and goddesses to each of us. If we combine the talent within our “spiritual genes” with dedication and effort, the promise of those “genes” can become “genius”. Thomas Ashley-Farrand is one of the West’s foremost authorities of Vedic and Buddhist Sanskrit mantras. He has been recognized for his flawless mastery of mantra practice and has gathered more than 8,000 transliterated mantras, the most comprehensive body of these sacred-sound syllables in the English language. He is also the author of Healing Mantras and Mantra Meditation. He lives in Northern California.